The “108 Youths Speaking for Justice” campaign started from the idea that Youth Scholars first need to realize and recognize the situation of Youths in prison in their own country before we can tackle the problem globally. Take a moment and think about what your peers in prison are going through, especially in terms of access to counsel and the risk of investigative torture. Currently our Youth Scholars are doing research on the Juvenile Justice system in their country for the 108 Youths Speaking for Justice. The research from the “108 Youths Speaking for Justice’’ Campaign forms the basis of the 1M93 Youths for Justice Campaign, which is one million and 93 youth against torture. (Why 93? Because 93 countries have signed the declaration of the United Nations that everyone has a right to be free from torture.) 1M93 is a global movement started by youth to call upon governments to act now against torture – especially against people their own age. With the results of 108’s research, the Youth Scholars will start a petition to raise awareness for Juvenile Torture. 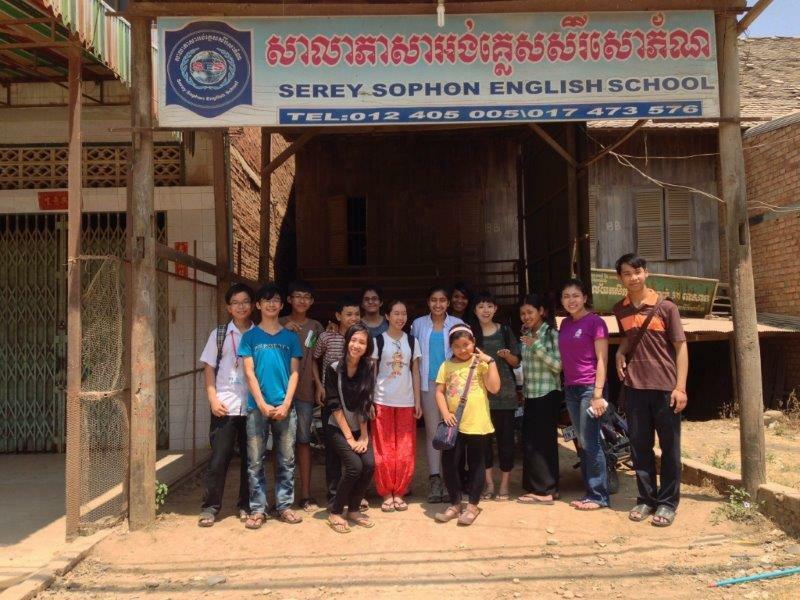 This year, Youth Scholars Bhavani and Mindy visited those who had been wrongly accused of crimes in Banteay Meanchey and Siem reap, Cambodia for their school’s Project week (Project week is an outdoor education experience at UWCSEA in Grade 11). 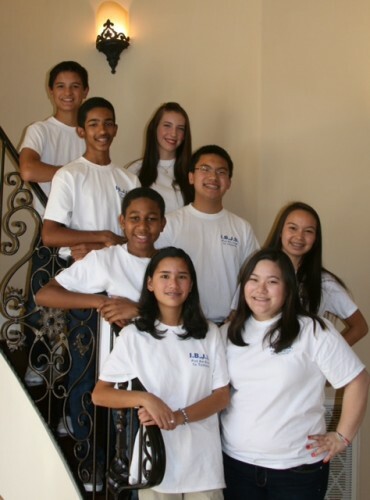 They were very grateful to have had the help of IBJ in planning and executing the trip. While in Cambodia, Bhavani and Mindy taught at an English school that was started by a man who was forced to flee from his own home and family during the Pol Pot regime. Bhavani and Mindy greatly enjoyed teaching the young Grade 7 and 8 students. They became so close knit that the girls decided to continue mentoring them from Singapore by email. This has led on many of the students applying to UWC for scholarships! Youth Scholars Bhavani and Mindy also made video stories on the successes of the IBJ lawyers, who fought for their clients’ rights and helped them to gain their dignity back, giving them insight into the unfair treatment of rural Cambodians. These video stories will be uploaded soon. This trip gave Bhavani and Mindy a greater awareness of the Cambodian justice system and an awareness of how privileged they have been to receive an education and to know their own rights. On the 26th of June 2014, we asked all the Youth Scholars to mobilize against torture. June 26th is the International Day Against Torture/For Torture Survivors Day. Our Youth Scholars held Peace Vigils with their family, friends and classmates. They also raised awareness all around the world! In addition to the Interfaith Peace Vigil, we also asked the Youth Scholars to print out the Interfaith poster and to take it with them to a famous or recognizable landmark in their city. Our goal was to get as many pictures of “cities for justice” as possible so we could get worldwide support for IBJ’s cause. The pictures for the Interfaith Peace Vigil and #CITIESFORJUSTICE Campaign can be found on our FLICKR page. You can also find them on IBJ’s social media channels by using the #CITIESFORJUSTICE hashtag. JusticeMakers Competition, the Youth Chapters can fundraise for the JusticeMakers competition or promote the competition. JusticeMakers is an online community that shares intellectual capital and best practices in the field of criminal justice, with the aim of fostering the development of a global defender network. The project seeks to unleash the collective energies of criminal defenders from around the world and realize the vast potential of international human rights legislation. The annual JusticeMakers Competition awards $5,000 to “heroes of criminal justice” to implement their initiatives locally. Thus far, IBJ has hosted three JusticeMakers Competions. Its inaugural global competition in 2008 awarded 11 fellowships. In 2010 IBJ hosted not one, but two JusticeMakers Competitions: the Asia JusticeMakers Competition ending in May 2010 and a global competition focusing on Latin America that ended in December 2010. In total, IBJ awarded 34 Justice Makers Fellowships in 26 countries from throughout Asia, Africa, and South America.